The Flamingo Tilt-in-Space Shower and Commode Chair is designed to help you perform hygiene routines with your child safely, conveniently, and comfortably. Multiple adjustable components, as well as a variety of accessories, allow you to customize the chair to suit your child’s unique needs. 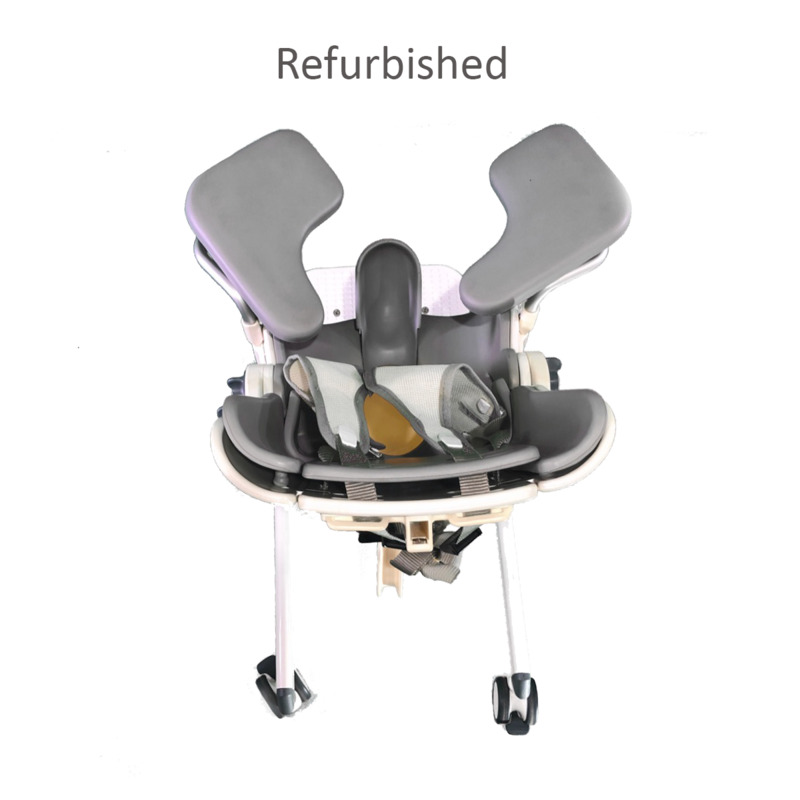 The lightweight chair is easy to move around and can be secured to the floor of a tub via optional suction cups to keep your child upright and comfortable during bathing. The hygiene cutout and splash guard allow the chair to be used for toileting; the optional potty frame converts the chair for over-toilet use, while the standard frame allows for use as a bedside commode with bedpan. Water-repellant upholstery covers the cushioned seat to prevent the absorption of moisture that can lead to the cultivation of bacteria, and the backrest reclines to both ensure your child is comfortable and facilitate activities such as hair washing. The Flamingo’s standard frame is made of durable stainless steel that won’t rust or corrode even when exposed to water, making it compatible with everything from bathing to bedside toileting. 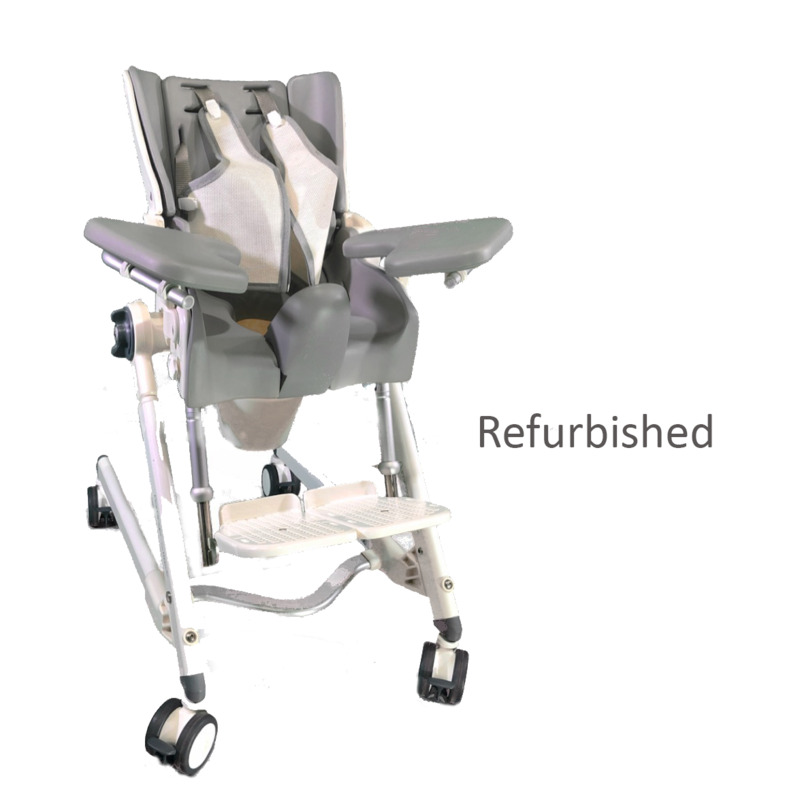 Swivel casters allow the chair to be transported easily from room to room as needed, with or without a child in it, meaning the chair can be used for transfer as well. 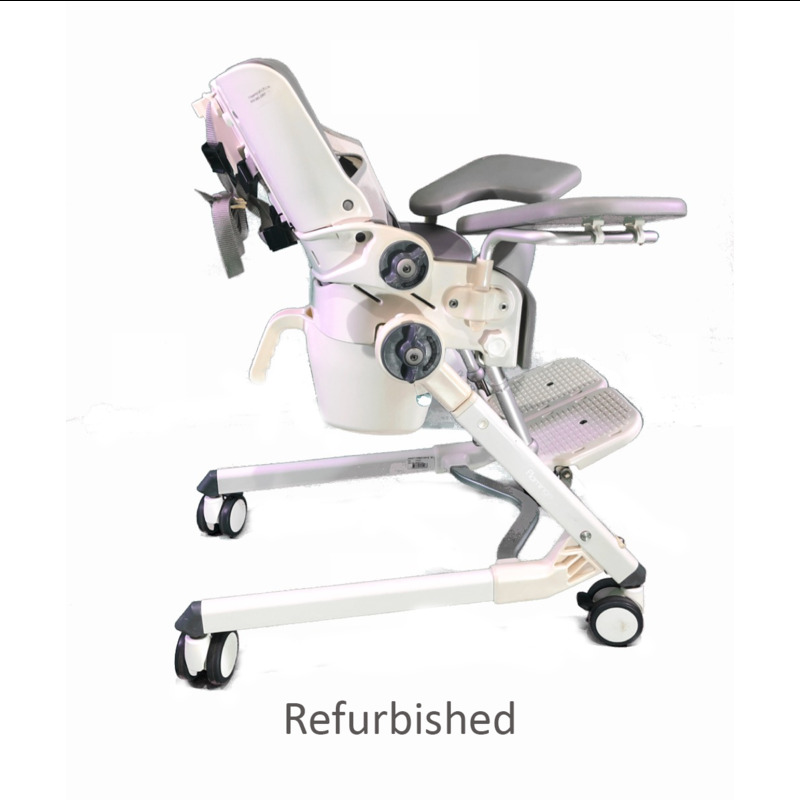 The height-adjustable frame allows you to find a comfortable working height that won’t strain your spine, and the tilt-in-space capability allows your child to sit in a medically-approved position that won’t impede your ease of access during these routines.